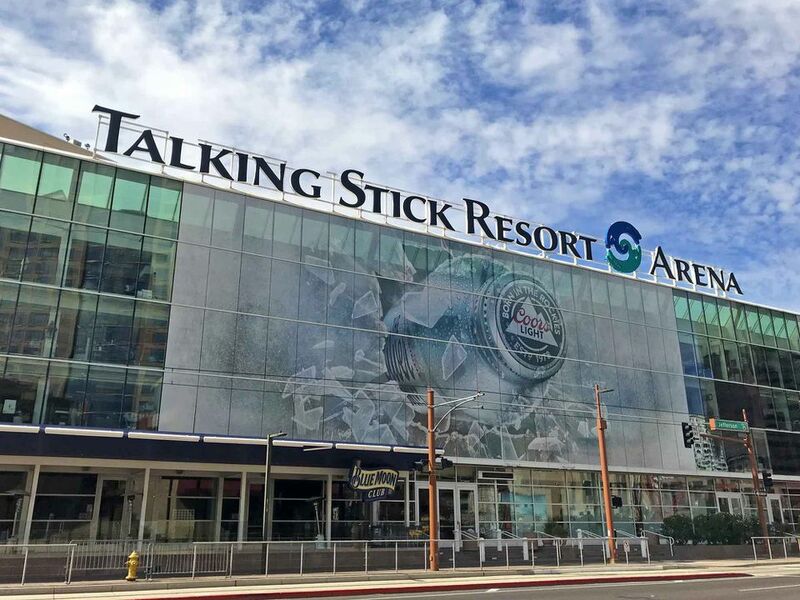 The Talking Stick Resort Arena (formerly known as US Airways Center and, before that, America West Arena) is located in downtown Phoenix at 301 W. Jefferson. The Phoenix Suns and Phoenix Mercury professional basketball teams play at Talking Stick Resort Arena. The Arizona Rattlers also play arena football at Talking Stick Resort Arena and many concerts, events, and family performances are held at there. 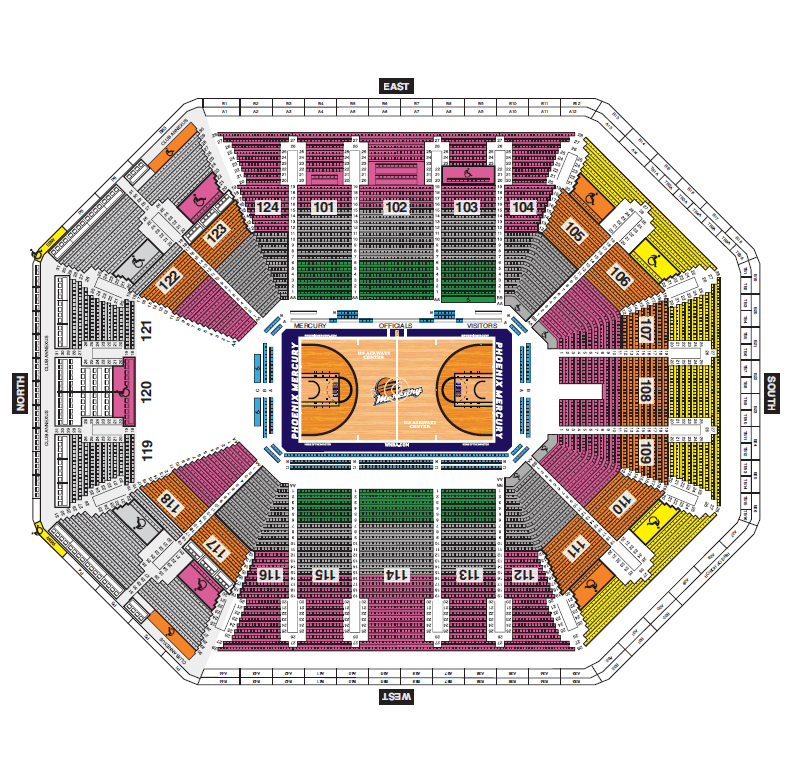 For concerts, the stage is normally placed on the north side of the floor, and additional seats are added on the floor in the center. The Box Office at the Talking Stick Resort Arena is at the same location inside the main entrance. Buying tickets at the Box Office may reduce the ticket prices by the amount of some of the service charges assessed by online ticket sellers. You can get to the Talking Stick Resort Arena Box Office using Valley Metro Rail. The Talking Stick Resort Arena completed a major $70 million expansion and improvement project in 2004. The outdoor ticket ofﬁce is now enclosed inside the new 14,000 square foot Casino Arizona Pavilion, serving as a grand entrance highlighted by a 12 × 20 foot video wall. On the east side, the Dos Equis Beer Garden is a ﬂexible outdoor entertainment venue covered by a football ﬁeld-length canopy featuring state-of-the-art sound and video projection systems, as well as the stylish Dos Equis Beer Garden bar area and facilities that double as television studio facilities for Suns telecasts and a performance stage for music events. 87 luxury suites and six party suites are located on two mid-level concourses. There is a 900-space attached garage in addition to a 1,500-space garage next door to the arena. Summer hours of operation: Monday thru Thursday 10 a.m. to 5 p.m. The box office is also usually open during events. All the configurations for seating, including concerts and sporting events, can be found on the Talking Stick Arena official site.